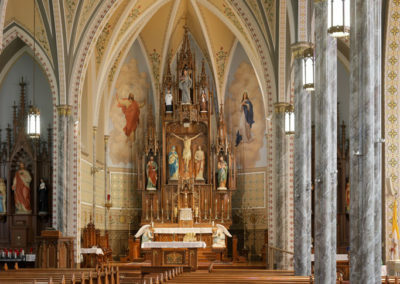 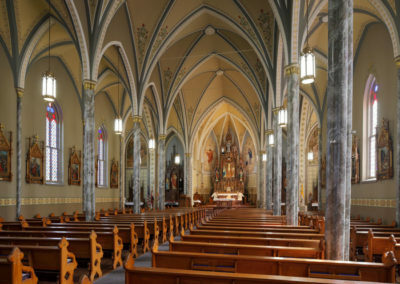 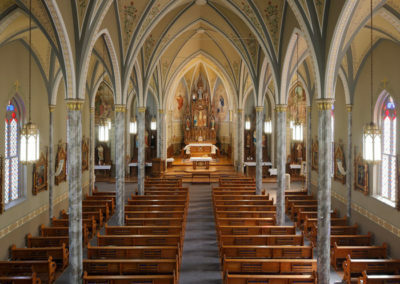 By the beginning of the 21st century, the interior of the church had become drab and dated. 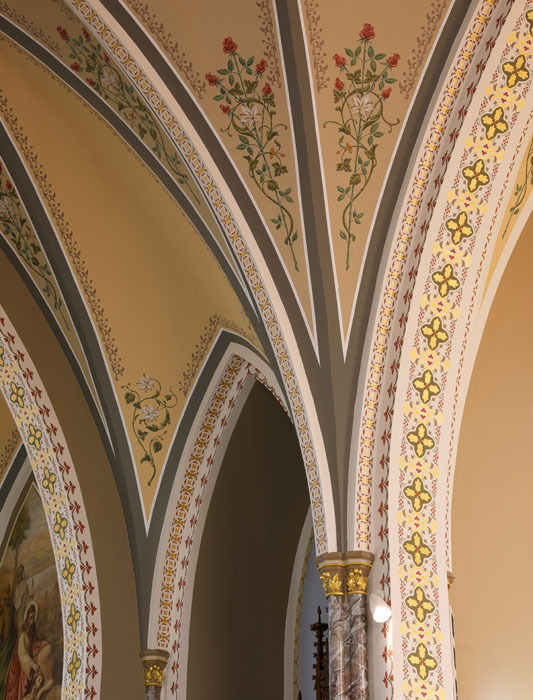 The original ornate decorations had been altered many times throughout the decades, and years of water damage had caused severe deterioration of the paint and plaster throughout the building. 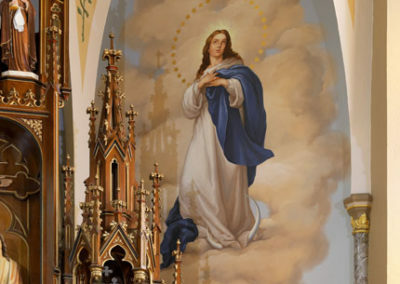 Four original murals depicted in historic photos had been removed. 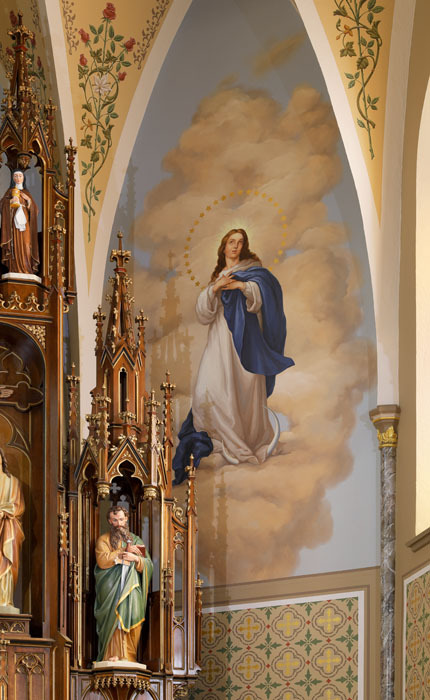 The artistry of the remaining murals was obscured by a deeply yellowed varnish coating and poor previous restoration attempts. 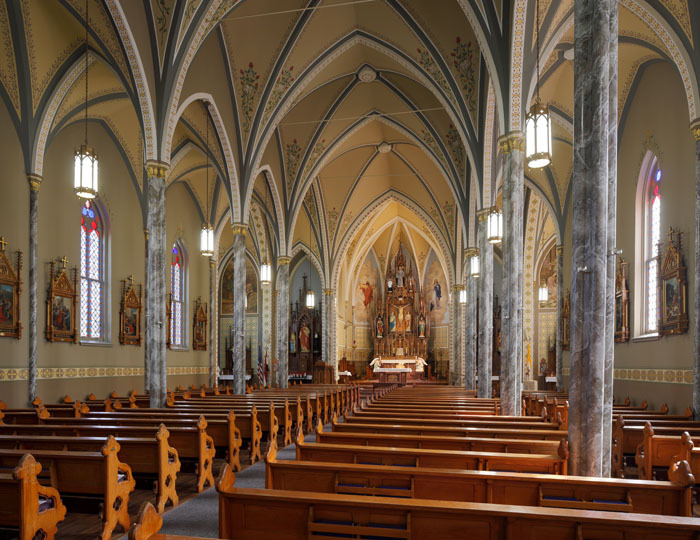 Following roof replacement, the church embarked on a significant restoration program in 2015 to revive the beauty that had been lost over the decades. 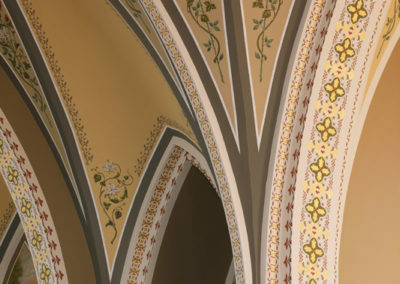 During the preliminary Design Phase, CSS conservators investigated the current conditions and historic decorative schemes. 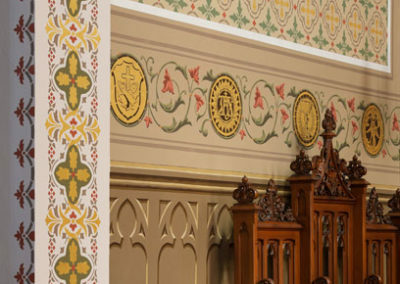 Artisans peeled back layer after layer of paint to uncover the original stencils and colors used in the 1879 design. 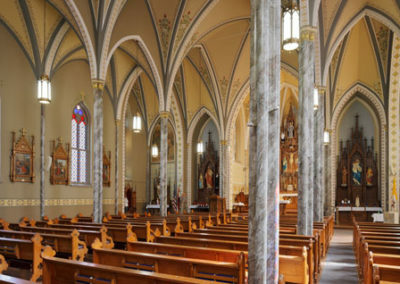 Historic photos offered clues to the faux marble used on the columns, as well as the style and subject matter of the missing murals. 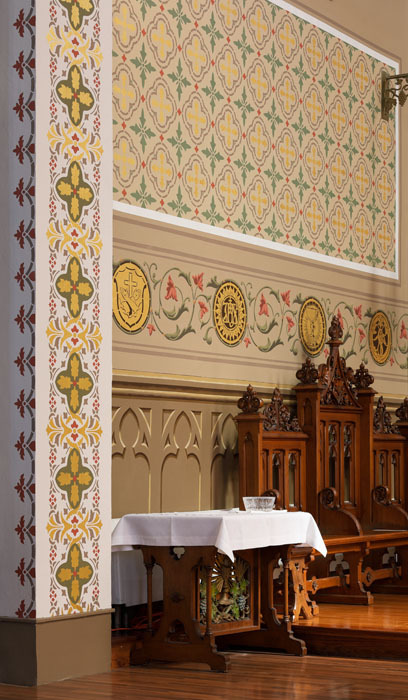 Following the investigation, our design team developed a conditions assessment and suggested treatment plan, including a rendering of a proposed decorative scheme that closely illustrated the colors and patterns used in the original church design. 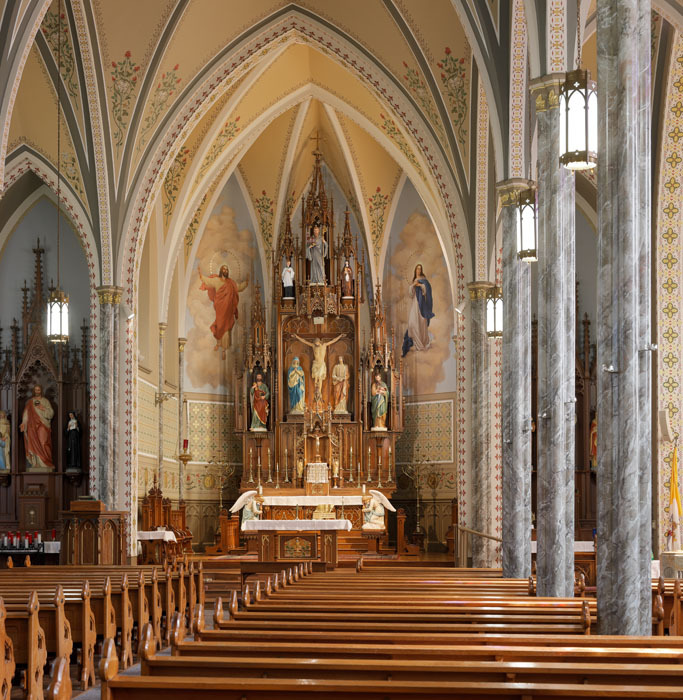 Completed in 2017, the restoration reestablished the beautiful Gothic design that the church’s forefathers created in the late 1800s. 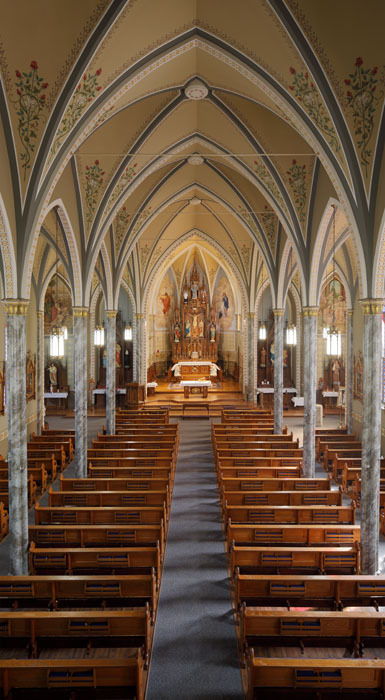 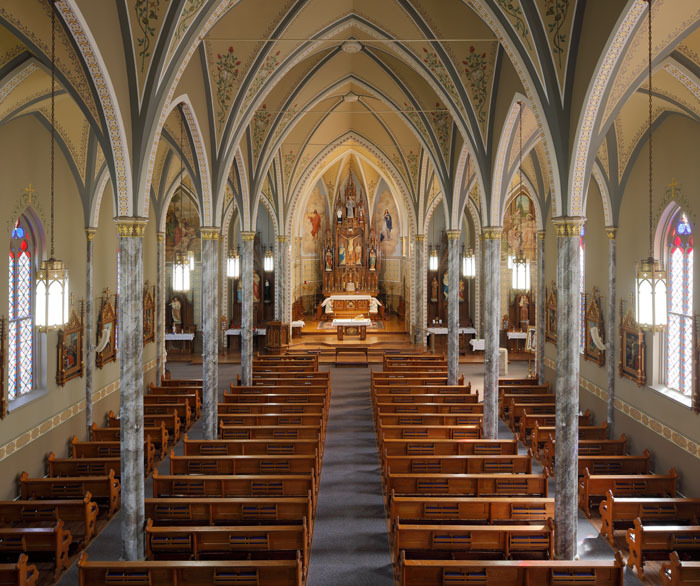 Their vision for a church with an inspiring interior that would lead parishioners’ eyes upward to heaven was fulfilled, ensuring that St. Columban Catholic Church will serve as a fitting house of worship for generations to come.